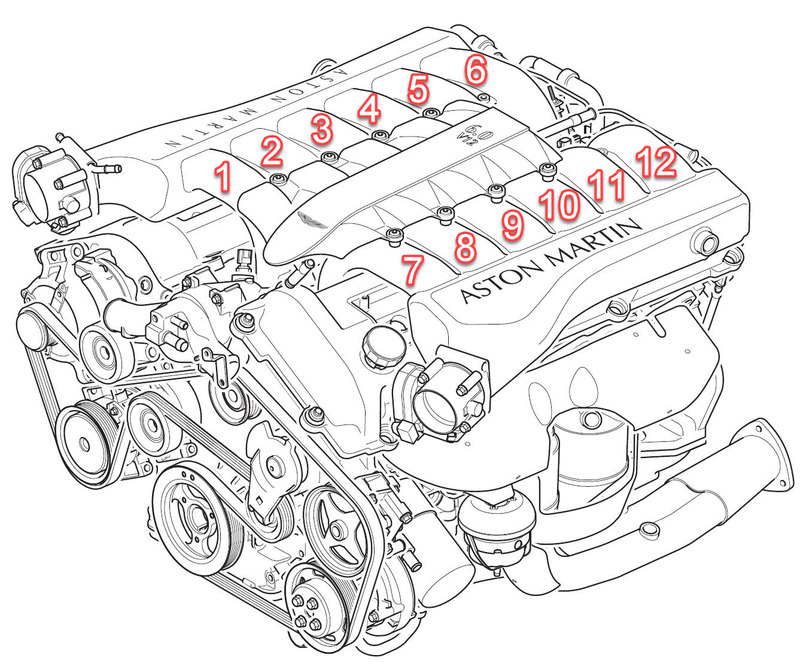 There are 12 cylinders in the V12 under the hood of my 2005 Aston Martin DB9, but I couldn’t find any reference to tell me which cylinder was number 1, and which was number 12. Does it criss-cross left to right, right to left, or something else? I scoured the official Aston Martin Workshop Manual – nothing (which is just plain dumb since they reference cylinder numbers within the manual). I asked on the usual online forums and got a variety of kind guesses from a few people trying to help, and at the same time heard a chorus of people asking the same question. You know me, this set me on a mission to find out! You might need to know this if you are troubleshooting an issue. Perhaps you are suffering from a Lumpy Idle and get a P0305 OBDII error code that means that cylinder number 5 has a misfire, and you want to change that cylinders spark plug or coil pack. Would be good to know which is cylinder number 5! When I recently had my car at my local Aston Martin Dealer, I was able to ask the master technician to explain it to me. He was kind enough to clearly explain it this way. The engine is treated as two six cylinder engines knitted together. The right bank is controlled by the Primary Powertrain Control Module (PCM) and these are cylinders 1 through 6, starting at the front. 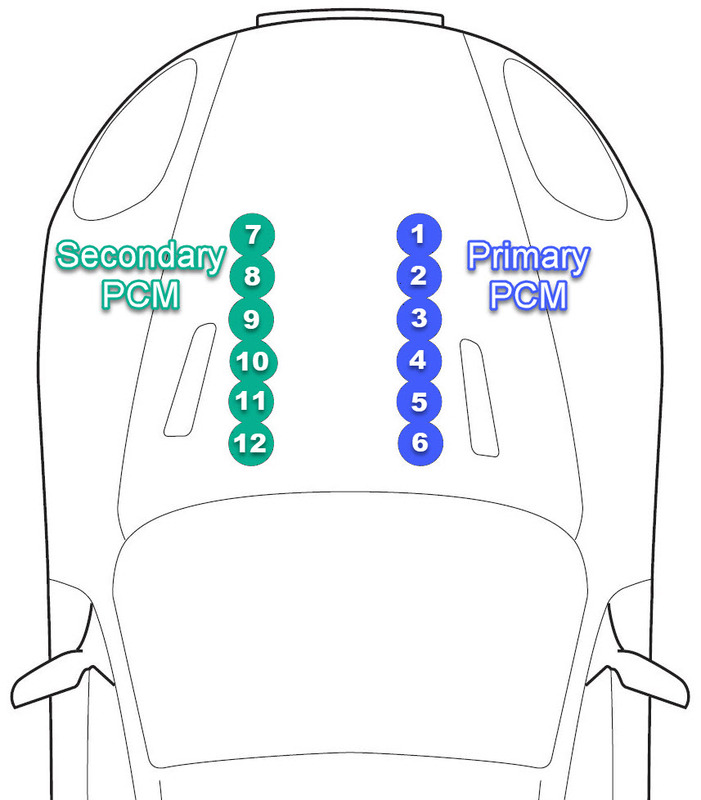 The left bank is controlled by the Secondary PCM and this are cylinders 7 through 12, starting at the front. This is the same for both Left Hand Drive (LHD) and Right Hand Drive (RHD) models. Mystery solved!